“Heritage is our legacy from the past, what we live with today, and what we pass on to future generations. Our cultural and natural heritage are both irreplaceable sources of life and inspiration.” ~ UNESCO. Perched on Sicily’s northern coast, the Arab-Norman Palermo is made up of nine civil and religious structures that date back to 1194. They echo the sociocultural harmony that existed between the island’s Western, Islamic and Byzantine societies, and are an inspiring symbol of coexistence. 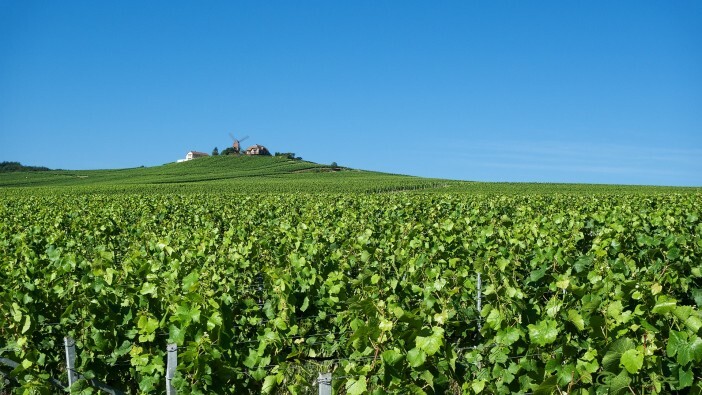 Honouring local methods of producing sparkling wines, this UNESCO listing encompasses the historic vineyards of Hautvillers, Aÿ and Mareuil-sur-Aÿ, Epernay’s Fort Chabrol and Avenue de Champagne, as well as Saint-Nicaise Hill in Reims. The region is famous for developing the 17th century technique of in-bottle secondary fermentation, with the inclusion of agricultural sites, production sites and ‘Champagne House’ distribution centres bearing testimony to the unique artisan activity. One of Turkey’s most fascinating historical sites, Ephesus is a wonderland of Hellenistic and Roman settlements. Visitors wander grand ruins from the Roman Imperial period, including the towering Library of Celsus and the cavernous Great Theatre. Nestled in the heart of the Khentii mountain chain, this site is a sacred place of worship for the Mongol people. They believe that the stunning natural landscape was shaped by a spiritual fusion of ancient shamanic and Buddhist practices, and also celebrate it as the birth and burial site of Genghis Khan. Stretching across the San Antonio River basin, these newly UNESCO listed missions are an archaeological dream. Built by the Franciscans in the 18th century, they represent a unique blend of Spanish and Coahuiltecan cultures. Want to experience a UNESCO world heritage site in person? Get in touch with one of our friendly Cruise 1st agents to discuss voyages to a host of UNESCO-rich regions. Sign up to one of the many shore excursions on offer, or get creative and plan your own UNESCO adventures pre or post voyage.